Rosenkranz's show blends a bit of medicine with the magic. He also created the first med school curriculum in the U.S. to study magic and medicine. After an unexpected recovery, complicated childbirth or emergency surgery, patients have often referred to their successful experiences as miracles. Dr. Ricardo Rosenkranz believes medical miracles are more abundant than we think, and that trained physicians are working their magic on us every day. Rosenkranz is a longtime faculty member at Northwestern University's Feinberg School of Medicine and, for the past two years, a magician with a limited-run show on Chicago's North Side. 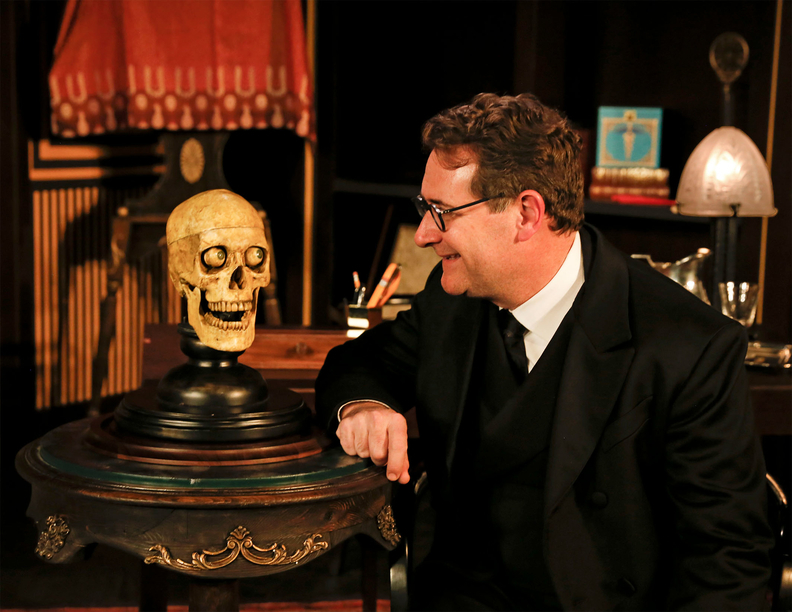 "The Rosenkranz Mysteries" returned for its second season in March at the Royal George Theatre Cabaret, running through May 6. Health can often be an illusion and medicine a performance art, Rosenkranz told the Chicago Sun-Times. Rosenkranz has also brought magic to medical education, with courses that "explore the performance aspects of medicine and the anthropological relationship between medicine and the magical arts," according to his website. A video on the show's website depicts Rosenkranz using members from the audience, and even a fellow physician, to see the magic up close. The show also pays homage to Rosenkranz's magic mentor, the late Eugene Burger, who was known for his magic show specials on PBS and TLC. Northwestern grad Jessica Fisch has directed the show for two years, but she told the Sun-Times that she has never asked the physician to reveal his tricks. Staying in the dark allowed her to truly feel the impact shared by the audience.